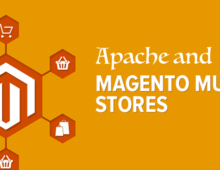 Till now you have got how to create Magento 2 module. Now you may want to properly add CSS and JS files to your Magento 2 module. Like Magento 1 Magento 2 provides layout xmls that are used to add your module css and js files. I will tell you two ways to add css and js files to your custom module. Let us assume that our module namespace in Webspeaks and our module name is Test. In this method you can add the CSS/JS files in frontend using layout files only. If you refresh the page you can see the module files in your page source code. In some cases you may want to add CSS/JS file based on certain conditions in your module. For this you can CSS/JS files by adding a block in the head block of Magento 2. Again clear the cache and you are done. If your module file uses jQuery, you must use require.js syntax to add the code in this file otherwise your code wont be able to access the global jQuery object.